Ben was recently in the area of Hither Green in South East London to fit some of our bespoke window shutters to the bay window of a home. The shutters were to be fitted in the living room area where the window looks out onto the street. 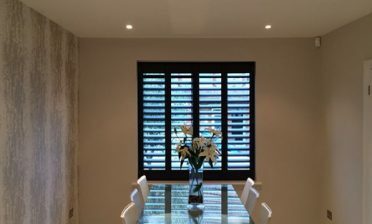 This customer was looking to take advantage of the privacy advantages of our shutters while also having a window dressing which will coordinate with their modern decor. 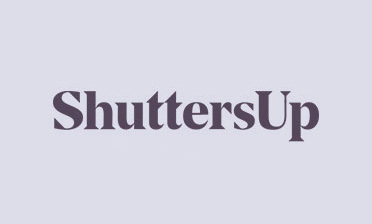 The shutters were created in a Tier on Tier style with a mid rail located at the top section of the shutters. This allows the client to adjust and open the larger bottom section and smaller top section independently. A great amount of privacy can be maintained on the bottom section while still allowing light to come in through the top section, or both sections can be adjusted to get the best out of light and privacy! 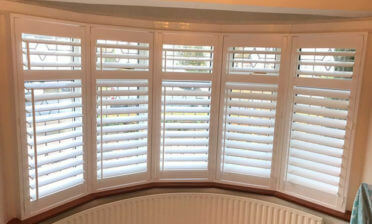 Using a 4 sided insert L frame we fitted the shutters millimetre perfect into the bay window recess. We used MDF material when making the shutters and finished them in pure white paint with matching hinges. 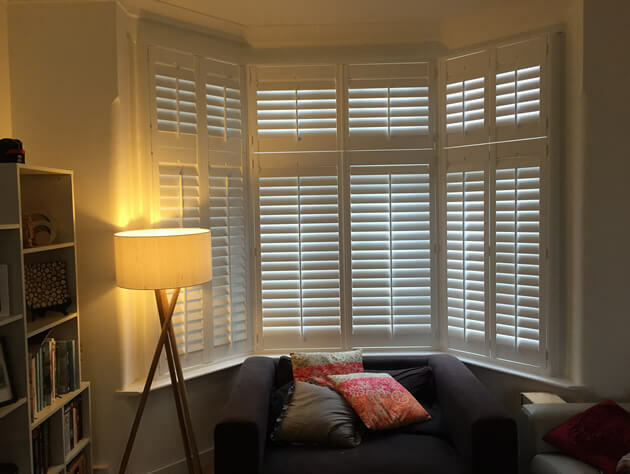 They feature 76mm louvres with central tilt rods over all shutter panels for adjustment and to help achieve the look our customer wanted us to create.